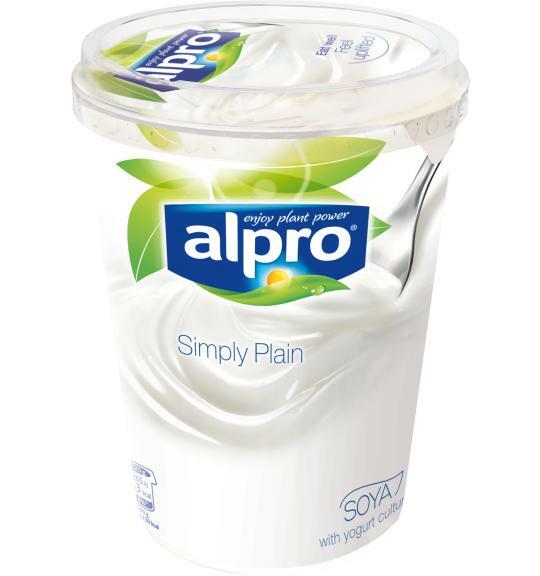 Alpro's Simply Plain soya alternative to yogurt, with its mild taste and smooth texture, is the perfect silky blank canvas to start your day. Delicious on its own, or ready for you to top it, with fresh fruit, granola, seeds.. You create it! A source of calcium, just like yogurt. Contains vitamins B12 and D.